The Board of Friends of Snow Canyon is a dedicated group of local residents who care about the park and want to help preserve, protect, and support it. Members serve two-year terms and can be reappointed for future terms. If you have an interest in serving on the board, please contact us at friendsofsnowcanyon@gmail.com or make your interest known to a current board member. Kristen Comella – Park Manager and Jordan Perez – Assistant Park Manager- serve as nonvoting members. At least one of the park managers attends each meeting. President of the Board of Directors – Chuck Schwartzenberg. Chuck and Sara Schwartzenberg moved to Southern Utah in August 2013 leaving Southern California. Having travelled the Western United States for many years they were drawn by the unique beauty of this area. Chuck says, “I am honored to serve and work alongside such passionate and dedicated folks who want to ensure Snow Canyon State Park prospers for future generations to enjoy”. Vickie Honchen – After thirty-five years in Alaska, Vickie discovered she was a desert rat at heart. An avid hiker, explorer and cycler, she continues to enjoy the beauty and recreational opportunities abundant in Snow Canyon State Park. Through her participation on the Board of Friends of Snow Canyon, she continues to pursue her interest in protecting and preserving this urban gem. Ellen Nathan came upon the beauty of Snow Canyon State Park in August 1995 while looking for land in Ivins. Many days were spent walking the trails of Snow Canyon State Park. Ellen found that she was continually amazed at the different features that the park has to offer. Ellen’s professional background in management is an asset to the board at Friends of Snow Canyon and she can think of no better place to volunteer. Marlyn Graff is a 5th generation resident of Southern Utah who grew up roaming the red sand and sandstone of Snow Canyon and surrounding areas. She is now employed as a hiking guide at Movara Fitness Resort and loves showing off the Park to visitors from all around the world. 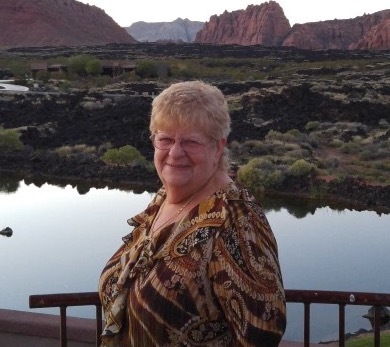 She enjoys helping to preserve and promote beautiful Snow Canyon as a member of the Friend’s Board. Sandy Nelson – After working for a large nonprofit assisting other nonprofits for many years in Sonoma County, CA, Sandy is pleased to serve as a volunteer board member for Friends of Snow Canyon. Always an outdoor person with a love of nature, she enjoys helping Friends in all respects as we endeavor to protect and preserve the park for generations to come. Isabelle Kalantze found her way to St. George in 2011 after vacationing for several years in the area with her husband, George. They were drawn to the region for its natural beauty, recreational opportunities and vast desert landscapes. An avid hiker, photographer and yoga practitioner, she continues to be grateful for everyday spent among the beautiful red rocks. Isabelle is honored to serve as a board member and to assist in helping to continue the Park’s mission to preserve and protect it for current and future generations. 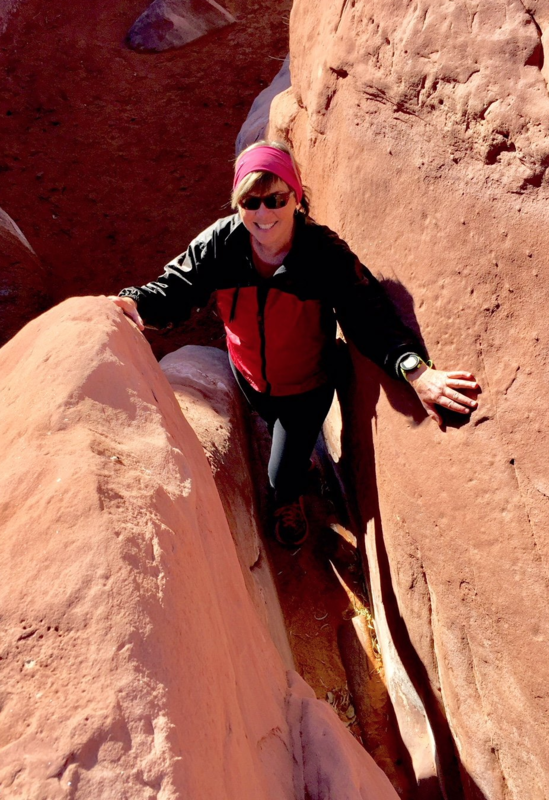 Marcie Eberwine – Searching for a reprieve from the cold and dreary Chicago winters, my husband and I instantly fell in love with the red rocks of Snow Canyon. Since becoming a trail steward two years ago, I have met people from all over the world in the park. As a professional horticulturist, learning the desert flora has been a fun challenge. My personal goal is to educate visitors not only about the park resources, but how they can join us in preserving this special place. Barry Neff – moved to Ivins, UT with his wife Linda from the Chicago area. Having visited the area many times they settled here permanently in 2012. They enjoy motorcycle riding while enjoying the wonderful roads and scenery of the southwest. When close to home they enjoy hiking the beautiful trails of Snow Canyon. With a background in IT management, data collection and insurance, Barry brings a welcome skill set to the board. He is already a “Friend” of Snow Canyon. Cori Mantle-Bromley – Secretary -I am very happy to join the Friends of Snow Canyon Board. I hope to bring to the Board my love of the outdoors and hiking, as well as skills developed as a teacher, university educator and administrator. Snow Canyon is such a jewel in our backyard. I hope to do my part to ensure that Snow Canyon remains beautiful for future generations. Kathy Edwards – moved to St. George from Ogden, Utah in 2017. She loves the outdoors and is an active cyclist and hiker. Kathy is looking forward to using her skills as a public relations and marketing professional, as well as a university educator, to help preserve and protect Snow Canyon. She is an enthusiastic trail steward in Snow Canyon State Park and Zion National Park. 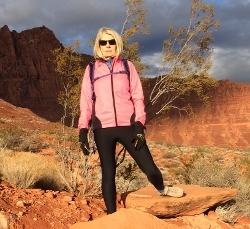 Sue Gordhammer – moved to Southern Utah from Park City in 2018 after hiking and cycling here over a period of 10 years. She is a usability consultant working with software companies to improve the user experience. Sue is an avid hiker and mountain biker and enjoys getting out on the trail as often as possible. Sue feels fortunate to have Snow Canyon in our “backyard” and is honored to assist in preserving it for all to explore and enjoy.